This A.M. I miss NYC and The Spotted Pig! I was in New York City only two times this year and both times I ate at a restaurant I have fallen in love with called The Spotted Pig. April Bloomfield the Spotted Pig's Chef and co-owner is originally from England "spent most of her life in the kitchen and had the pleasure of working with some of the most revolutionary chefs before taking on a kitchen of her own". 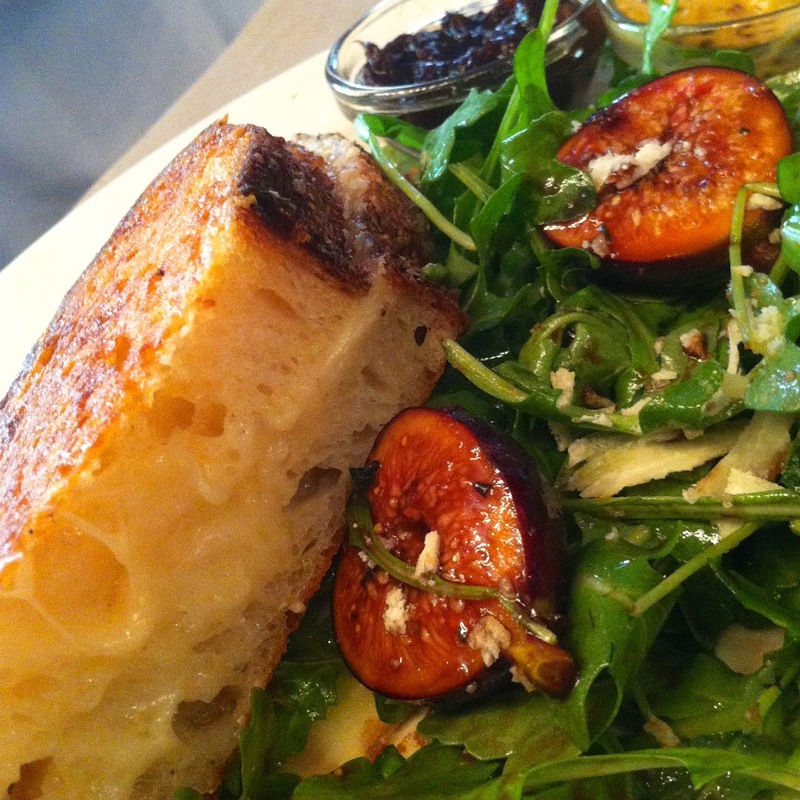 It fares a seasonal British & Italian menu and uses fresh local ingredients whenever possible. With high quality, fresh ingredients a fun spin to the atmosphere, the food is deliciously prepared. On my first visit, I ate the best brussel sprouts I have ever eaten and the chargrilled burger with Roquefort cheese. And don't be alarmed by the name of the restaurant they also serve veggies! You can order their "5 veg." 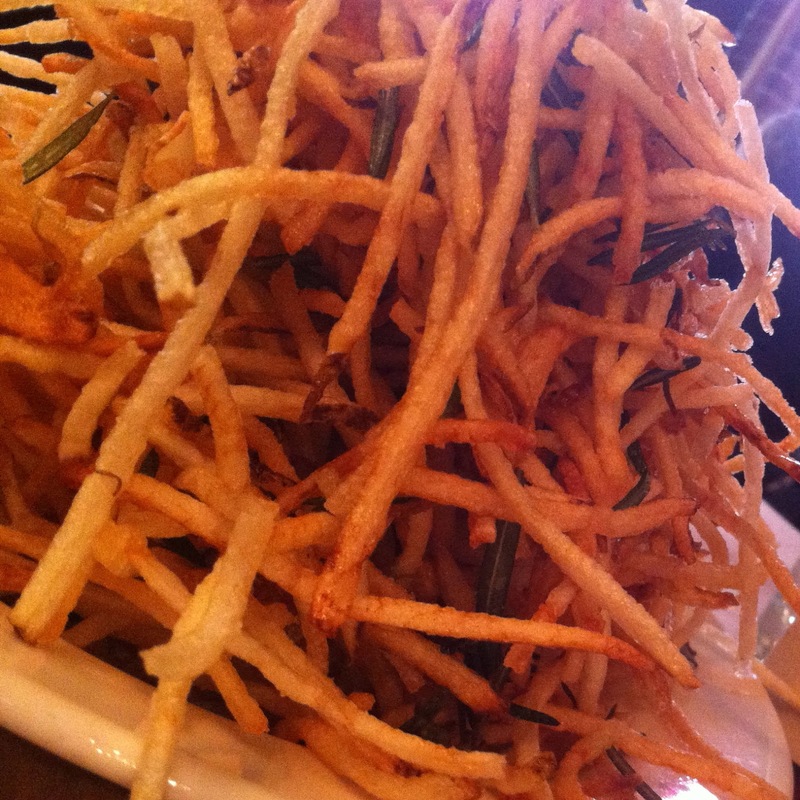 Every visit I have ordered my favourite fries ~ shoestring fries with fresh rosemary. 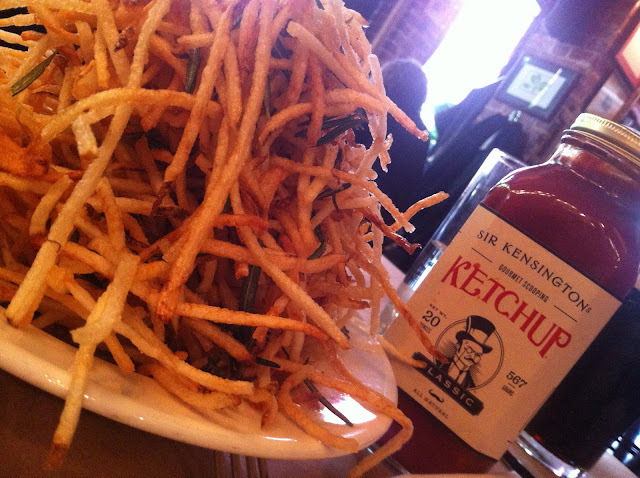 Piled high like a haystack, they bring a bottle of gourmet ketchup alongside at your request! This place is located at 314 West 11th Street, New York, NY. I highly recommend you visit the next time you are there. Open 7 days a week until 2am. Who designed the interior? Ken Friedman the co owner of course!